Please arrive anytime on Monday 22nd April to set up your tent and meet the others. If you wish to travel up the day before, please give Andy Camis a call. The training course has been designed to work on two levels. Firstly, to give you the necessary skills to work for us, gaining invaluable group experience while doing so; secondly to further your personal skills. In charge of the Training course is Andy Camis. You should speak to Andy about day-to-day matters relating to your training. He will organise the schedule for your course in conjunction with Steve Ranger. When you arrive we’ll ask you to sign a contract of employment. This lays out the terms of work, the notice you have to give and so on. On arrival you can put up your tent and be shown around Blackland Farm. Many of you will already be familiar with the basic layout, having attended selection day. · Complete the Staff Information Form including your bank account details, National Insurance number, etc. – please bring these details with you. During the course we will be staying at various locations, training in different activities. You will have a permanent base at Blackland Farm where you can leave any kit you’re not using. To get the most out of the course you will need to be physically fit. There is a very good reason for this – it is a physically demanding job! We’re not talking marathon fit, but the fitter you are, the more you will get out of working in this environment. Intensive training to enable you to operate our high wire elements. An introduction to lead climbing. Significant training towards your RCI (formerly SPA). If ready you will have the opportunity to take your RCI assessment. 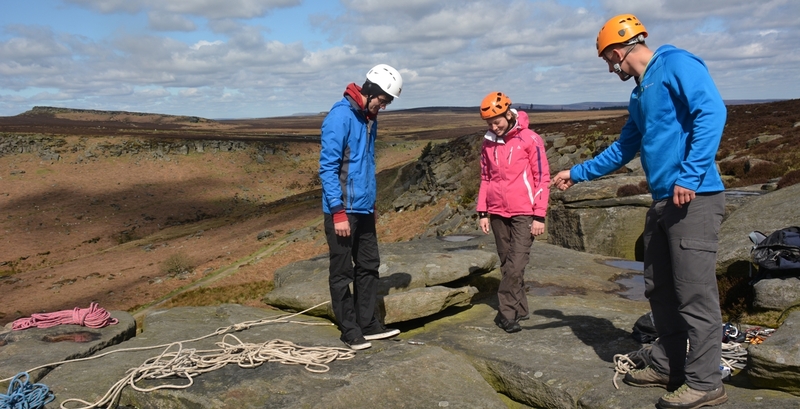 You will have the chance to go multi-pitch climbing and mountain scrambling. A trip to the French Alps. Activities include Canyoning, via ferrata, glacier walks, climbing, and rafting. * if we feel you are ready, you have registered, completed your online log and done the necessary lead climbs as required. If you haven’t done your climbs or aren’t ready and by that time have left TrekCo, you’d have to arrange and pay for your own courses as you would normally. But if you’re still working at TrekCo we’ll still pick up the tab. Trek Co covers the costs of this course. This includes transport to and from venues on compulsory trips, campsite fees (while at BF), instruction, specialist gear etc. While working on residential courses food will be provided. (An outside caterer brings in enough food for all clients and staff working on that course) There is one set of additional costs; for weekends away we will ask you to provide your own food. These costs are small. We pay for RCI (formerly SPA) Training if you are ready, registered and have completed the climbs, and are still at TrekCo. Below is a list of facilities available at Blackland Farm where you will be based. This should give you a rough idea of what to expect. Internet: We have installed wifi in our office at Blackland Farm and on the campsite for staff use. There is another network at Deers Leap Bikes, our mountain bike park up the lane. Phone / Post: Mobile signal is usually good at Blackland Farm; there is 4G coverage. There is a telephone box in the yard for outgoing calls only. The letterbox is by the main entrance. Any post to you should be directed to:Your Name, Trek Co Staff, Blackland Farm, Grinstead Lane, East Grinstead, West Sussex, RH19 4HP. Washing / drying clothes: There is a washing machine and tumble dryer in the staff toilet block. Free, of course. Toilets / showers: There is a staff toilet block, 10 metres from the campsite. Showers / toilets and washbasins: there’s permanent hot water available in the toilet blocks. Living arrangements: You will need to bring a tent big enough for you and your stuff. This is the part most people worry about. Don’t! You won’t be on you own; mid season there will be up to 40 staff on the staff campsite. Camping on the staff campsite is free. Visitors: Visitors to the campsite (boyfriends / girlfriends) can’t unfortunately stay overnight on the staff campsite when there is a school course running. This is for two reasons – child safety, and school staff concerns. This is regrettable, but obviously from the point of view of a school, strange adults are not ideal anywhere that school children are staying. We will give you guidance on whether we think your clothing is appropriate for working with schools and other clients – basically, don’t be too scruffy and always present a clean appearance. The only solid rule is that we don’t permit wearing flip flops whilst working, you must wear shoes in which you can run in an emergency. Please ensure you turn up on Day 1 of the course with all the correct kit or with the intention of getting it soon. If you have ANY problems with the kit list, please let us know, as we may be able to help. In general you will be living and working in the outdoors. You need to be appropriately equipped to operate in a professional capacity in this environment. Below is a list of essentials an aspiring outdoor professional will need. During training week we will look at your kit. Sleeping bag & mat – It can be cold in April and can be warm in July! Think carefully. Waterproof jacket and trousers – We will be out whatever the weather. Warm Hat and gloves – Very important. Slings and a couple of screw gate karabiners – You will need these! If you don’t have these already or are not sure what to get, wait. Walking boots – Very important. You must have a pair that fits you and is comfortable. Stove and Pans – Not essential as you can share. You will also need clothing you can wear on a day-to-day basis.